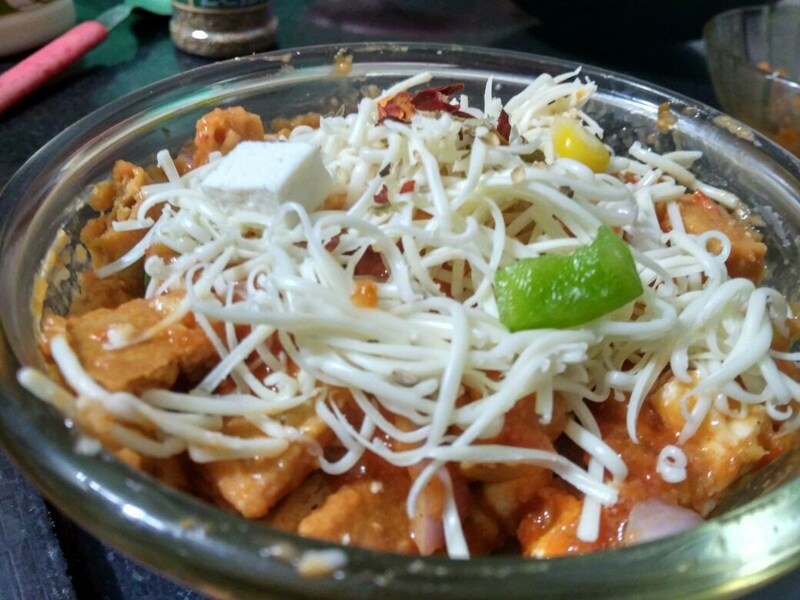 In a mixing bowl add onion, capsicum, paneer and sweet corn. Add oil, salt and pepper powder. Mix well and keep aside for 5 to 10 minutes. Break pizza base and saute them in butter. Same way saute marinated paneer and vegetables. 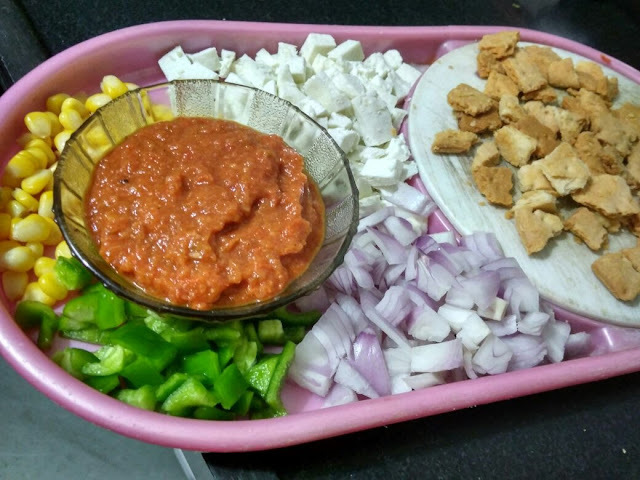 In a serving bowl add pizza sauce, vegetable mixture, chili flacks, oregano and crispy pizza base. Mix well and cover with grated cheese. Sprinkle some pizza seasoning and cook for 30 minutes at micro. Hi. or until cheese melts. 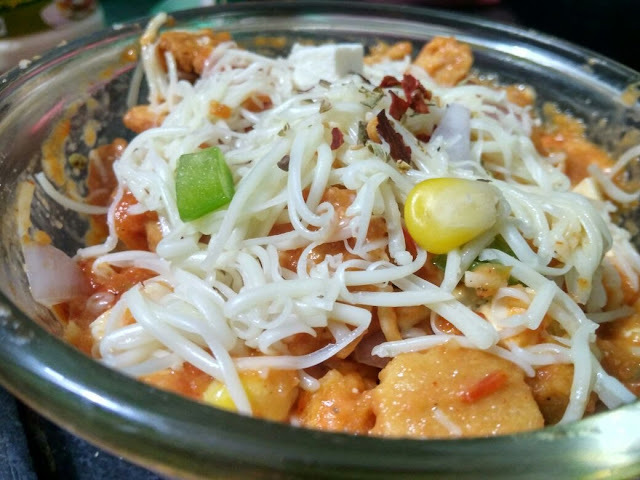 Hot and mouthwatering Pizza Bhel is ready to eat. If you don't want hot version avoid cooking, in that case, don't add mozzarella cheese. Add some mayonnaise to make it little mild.